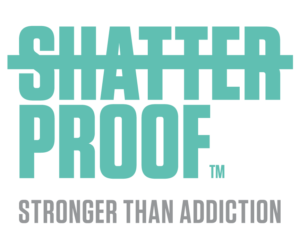 Yes, I would like to receive occasional updates from Shatterproof at the email address provided above about what is going on in the addiction community. By checking this box you agree to let Shatterproof send you periodic emails, you have the ability to unsubscribe from these emails at any time. THIS WEBSITE DOES NOT PROVIDE MEDICAL ADVICE. The information contained on this website is not intended to be a substitute for, or to be relied upon as, medical advice, diagnosis, or treatment. This website is for informational purposes only. Always seek the advice of your physician or other qualified health provider with any questions you may have regarding a medical condition. The name, email address and password that you use to access this site will be retained by Shatterproof only for the period of time that the voucher code you used to register remains active and will be used to help users keep track of their progress and for aggregate, deidentified reporting purposes only. If you have opted-in to receive updates from Shatterproof, your email address will be maintained to provide those updates unless you unsubscribe.